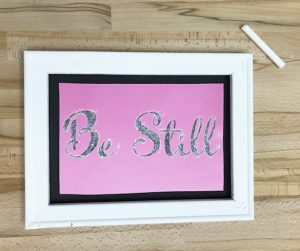 If you’ve been in on the latest crafting trends, you may have tried your hand at a reverse canvas. 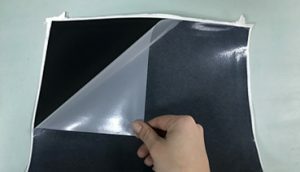 If you’ve been in on the latest product launches from Siser, you may have tried our new, award winning heat transfer vinyl, BlackBoard. Today’s craft combines both! Whether you want a re-usable note station, menu, or motivational quote board, this reverse canvas can do it all! Keep reading to see how we put it all together- plus get the trick to perfect chalk lettering! 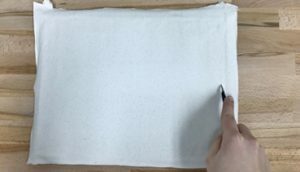 The first step to making a reverse canvas is to separate the cotton canvas from the wooden frame. 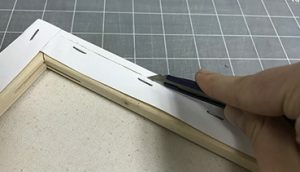 Instead of prying each staple out, use a knife tool to cut around the edges. Thanks to Silhouette School for coming up with this nifty work around! 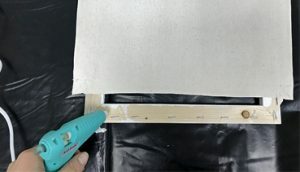 After cutting, peel off each trimmed piece and set the canvas to the side. Technically, this step is optional. You could leave the wood unfinished, but I think it looks more put together either with some wood stain or acrylic paint. 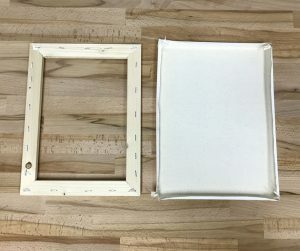 I decided to go with a white frame, and ended up doing 2 coats of paint. 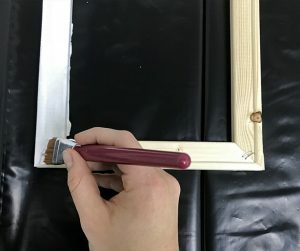 While the paint is drying, use the piece of canvas to measure and cut a matching section of BlackBoard HTV. 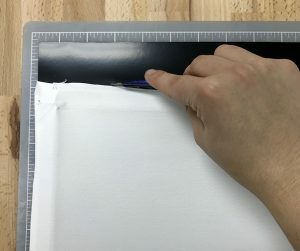 Set your heat press to 275°F and press the canvas for 1-5 seconds. Now the canvas is perfectly flat and ready for HTV! 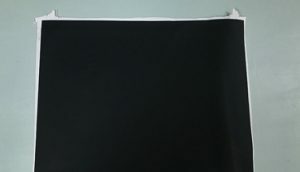 Place the square of BlackBoard with the carrier side facing up. 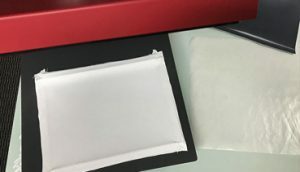 The carrier side on this material is cloudy/dull. 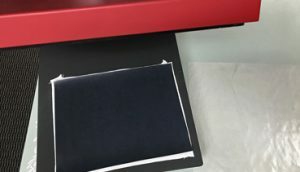 Then top it all off with a heat transfer cover sheet before pressing for 10-15 seconds with medium pressure. After pressing, peel the carrier while it’s hot. Check out this video, for home iron and Cricut® EasyPress™ application settings. 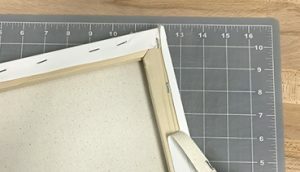 Working in sections, use the glue gun and binder clips to stretch and secure the canvas in place. After the glue is dry, remove the clips and use your knife one last time to trim down the edges. Step 6: Display and Draw! 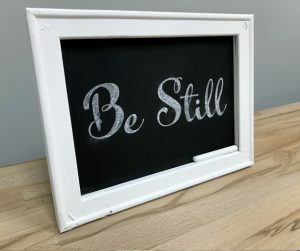 Your new chalkboard is ready for drawings, to do lists, and even your favorite mantra or Bible verse- like I decided to display on mine. Remember though, BlackBoard works best with standard chalk. Which is easily wiped away with water and a paper towel! Be sure to use standard chalk when drawing on BlackBoard™ HTV! 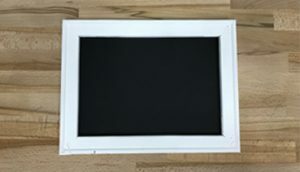 If you’re really talented, you might be able to hand letter without any help, but I need the help of EasyPSV™ Removable to make my chalkboard dreams come true! 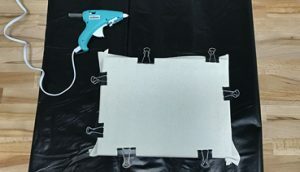 Watch this video to see how to make PSV stencils from start to finish. 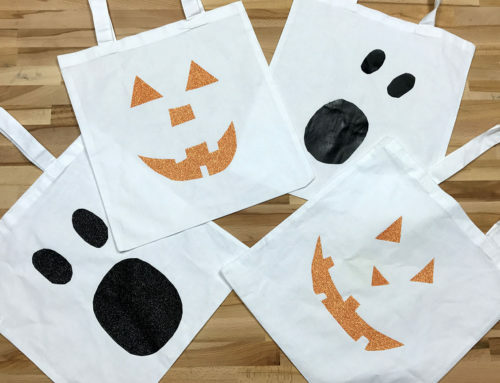 Do you remember when we decorated canvas with Glitter HTV on the blog? That was before the reverse canvas craze, but it’s still a fun project! Did you like this post? Pin the image below to save it for future crafting! Hi Deanna! I used regular chalk on BlackBoard™ HTV, but in the video I linked to, Melissa used a washable Chalkola marker on EasyPSV™ Chalkboard.